The Best Public Adjuster in Tallahassee Florida is one call away! At Florida’s Best Public Adjusters, we know that many homes and businesses in Tallahassee are damaged by storms, broken appliances and other incidents each day. When your home or business is damaged, you may think that your insurance company will just write you a check for the maximum amount you deserve. This often isn’t the case. Your insurance company is in the business of trying to pay as little for your claim. You can count on a skilled public adjuster in Tallahassee from our team to help fight for your maximum claim payment. 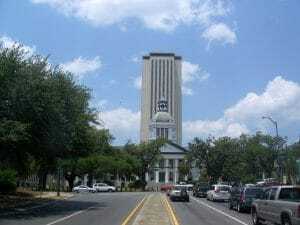 Do you need a Public Adjuster in Tallahassee Florida? CALL FLORIDA’S BEST PUBLIC ADJUSTERS TODAY! When your property experiences damage, you want to make sure you are getting the best insurance settlement. We can prepare your documents, speak with your insurance company and take the entire hassle away from you. Our Public Adjusters offer the best professional insurance claim representation to help you recover quickly. We are here for you, not the insurance company. Our team at Florida’s Best Public Adjusters Tallahassee can help with a wide range of claims. Including hurricane damage, water damage, storm damage, fire damage, sinkholes and roof leaks are just a few of the damages our team at Florida’s Best Public Adjusters can help address. If you’re looking for the best help with your insurance claim, give our team a call. You can schedule your free consultation and damage inspection with a skilled public adjuster in Tallahassee by calling our team at (850) 807 – 0123. We’re here to help with your claims, call today!